A team of Orlando ambassadors (“Obassadors”) met in the City of Tavares to discover the rich history and exciting activities of this historic town in Lake County. 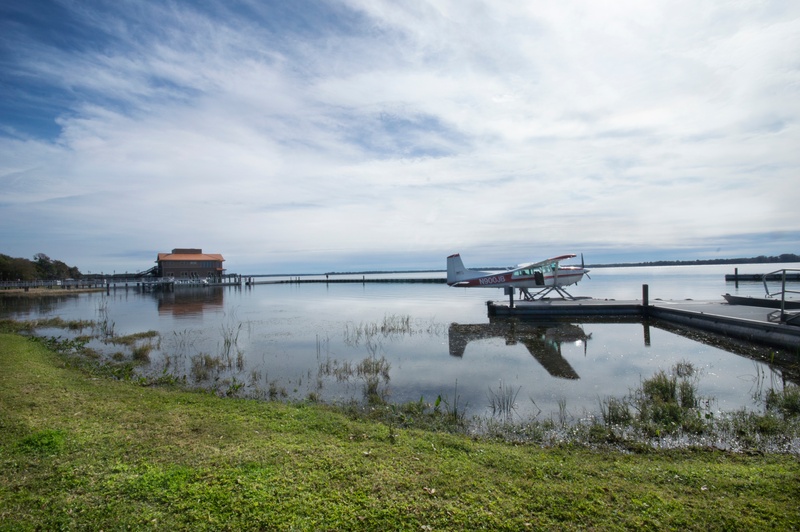 Hosted by Lake County Economic Development & Tourism department and the City of Tavares, the team of Obassadors discovered many hidden gems in Tavares – America’s Seaplane City. 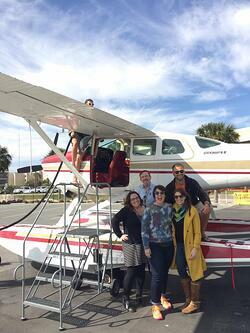 The Obassadors took to the skies on the Jones Brothers & Co. seaplanes, experiencing a breath-taking view of Mount Dora, Howey-in-the-Hills, Astatula, the lake canal system between the Lakes Eustis, Dora, and Harris, as well as a distant glimpse of downtown Orlando and the attractions. After the seaplane rides, the group walked down the City of Tavares main street and explored the quaint, historic downtown. "Lake County is proud to represent everything that is great about the other half of Orlando. It was a pleasure to host the Obassadors, and we can't thank them enough for their efforts to highlight some of the many reasons why we call ourselves 'Real Florida. Real Close.'" said Robert Chandler, Lake County Economic Growth Director. Using the hashtag #SeaplaneCity, the Obassadors generated 77 social posts with a reach of 173,039, producing 346,876 impressions. To see pictures from the meet-up, visit the Orlando EDC’s Facebook album here. To find out more amazing adventures available in Lake County, visit their website at www.visitlakefl.com. This post is the second in a series following the Obassadors as they explore unique experiences in the Orlando region, while sharing their experiences with the rest of the world. If you are interested in becoming an Obassador, please visit www.orlandoedc.com/obassadors.